Star Snacks is a leading manufacturer and distributor of branded and private label nuts, trail mixes and dried fruits. We also produce our own product lines that includes Star Snacks, Imperial Nuts and Platinum. Star Snacks is poised as a single-source solution for custom packed snacks. We are committed to providing our partners with the right products at the right price point. Star Snacks ability to source nationally and globally allows us to purchase in volume while simultaneously monitoring commodity prices. This enables us to reduce client exposure to volatile price fluctuations. Star Snacks proudly partners with numerous retailers such as, chain drug stores, supermarkets, national distributers, club stores and deep discount stores. Our quality products and healthful alternatives are available in the United States and abroad including, Canada, Caribbean, South America and Asia. 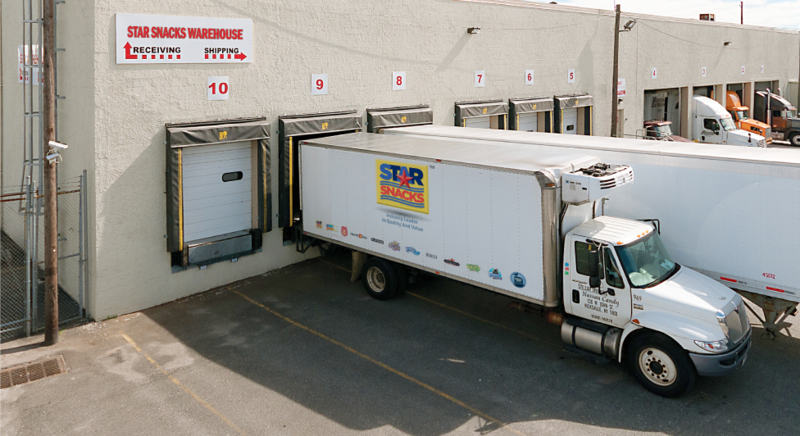 Star Snacks is a third-generation family owned and operated business that has decades of snacking experience with its roots firmly anchored in the 1950’s. Our company began independently manufacturing and packaging nuts, trail mixes and dried fruits for the retail and wholesale market in 1992. Star Snack’s increasing annual sales volume reflects the high quality of our products consistently offered to businesses at sustainable profit margins. Star Snacks is one of the fastest growing manufacturers in the industry and is emerging as a market leader in the nut and dried fruit categories. Star Snacks is a client driven organization, offering our retail partners quality snack products at an attractive price point, thereby providing our partners with the ability to achieve excellent margins. We regularly monitor commodity prices and purchase in volume to reduce client exposure to volatile price fluctuations. The multibillion dollar snack industry is highly competitive. By recognizing industry trends, we are able to introduce new and customized products such as trail mixes and dried fruit assortments. We are committed to providing our new and long standing customers with the quality products they have come to expect.